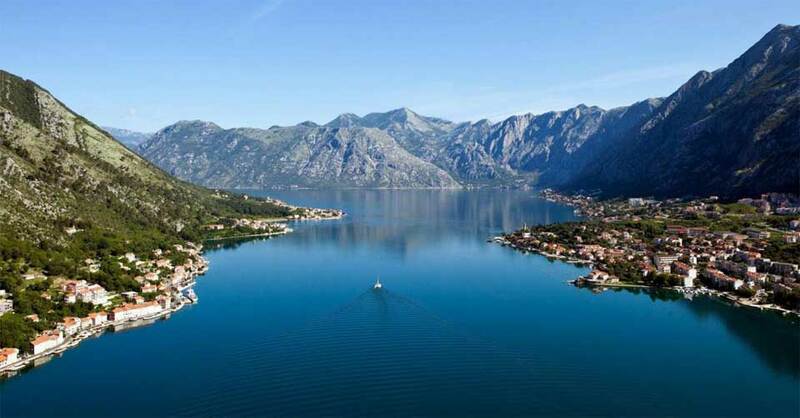 On the way up, from 0 to 800 m (2400 feet aprox) elevation, we take few photo breaks of stunning Boka bay view. 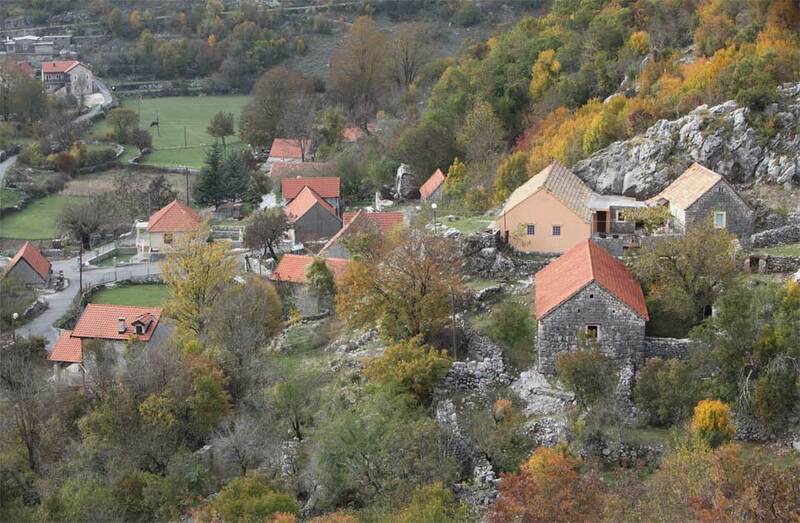 Njegusi is traditional village between Cetinje and Kotor, part of the territory of old Montenegro, place where the Petrovic dynasty rulers were born. 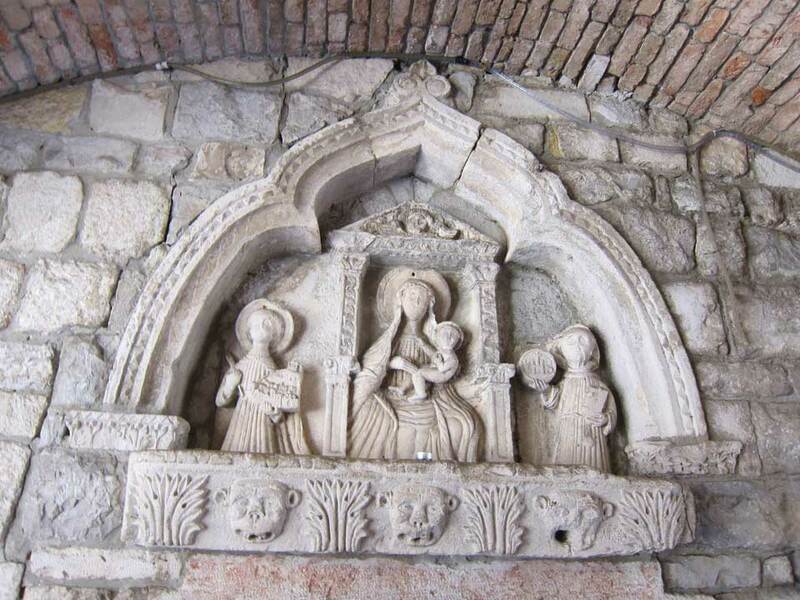 During the Turks, through Njegusi was the only traffic road from Cetinje to Kotor to the Europe and the world. 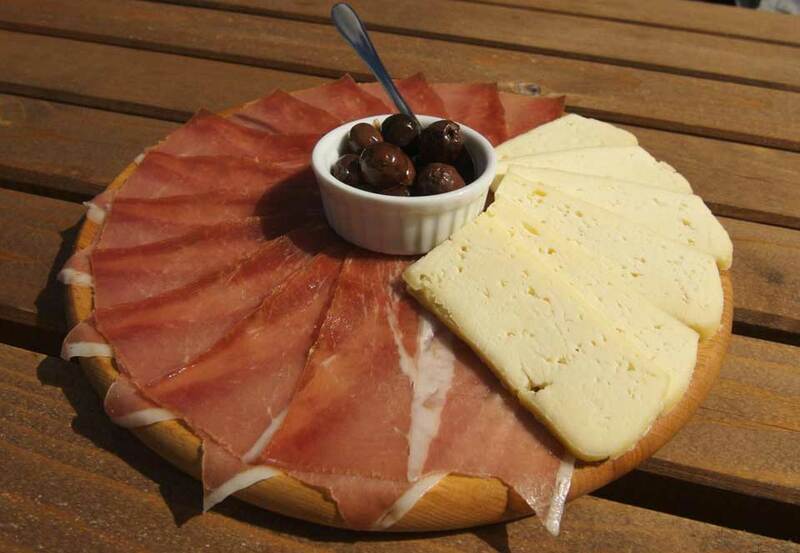 The most interesting part of our visit to Njegusi is 134 years old restaurant "Kod Pera na Bukovicu" where we enjoy local products as smoked ham, cheese and grape brandy. Family who runs restaurant will invite us to see the smokehouse and they will try to show you all about the process of making smoked ham. Cetinje is the historic and current Royal capital of Montenegro. The city is located in the field under the mountain Lovcen, at an average altitude of 670 m.
Because of its authentic architecture and a large number of historic buildings, relics, monasteries, churches and museums, this city was named "museum city". Gospodar ( Master) Ivan Crnojevic was forced to move from city of Zabljak in Zeta plain to inaccessible area due to Turks, first to Obod 1475 then deeper to the base of mountain Lovcen. 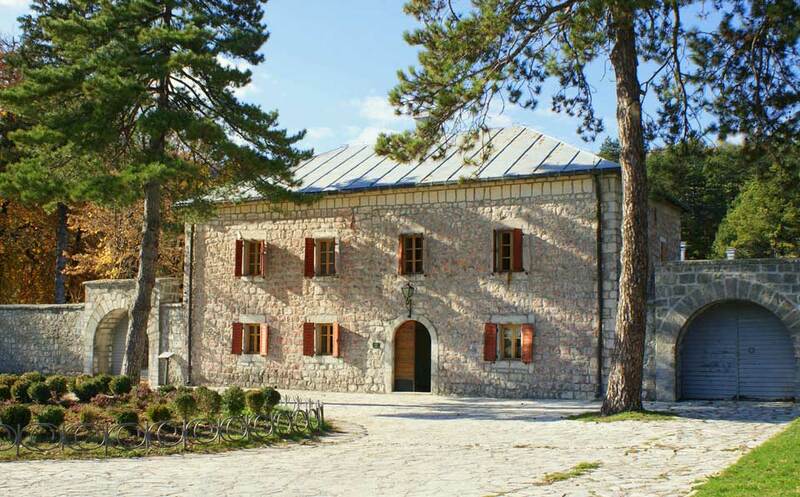 In Cetinje field in 1482 he built his palace and two years later the monastery. The new capital was named after a little river that was flowing through Cetinje field. Cetinje, besides being a secular, became the spiritual cent - er. Ivan’s son, Djurdje Crnojevic, founded first Cyrillic print - ing house in the Slavic south, Crnojevic print - ing house. That printing house was founded just 38 years after Gutenberg’s and it was operating be - tween 1492 and 1496. Crnojevic printing house printed 5 unique and high-quality incunables. 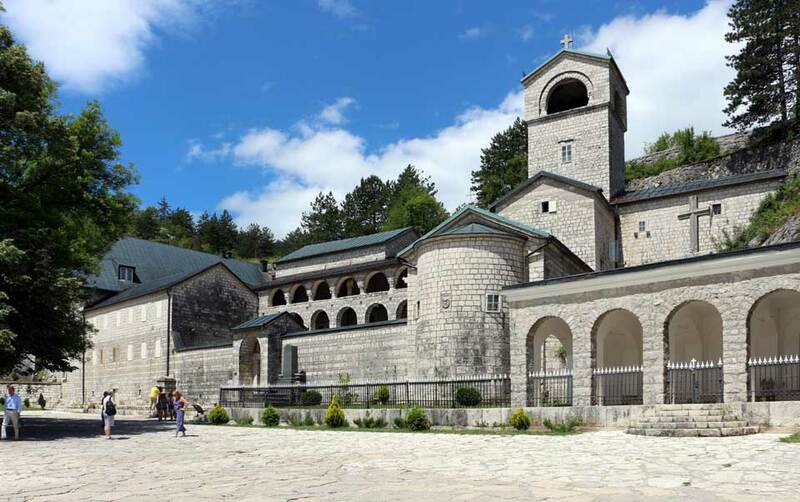 Today some of the biggest mon - uments in Cetinje are: Wallachia Church, Zabljak Crnojevica, Mon - astery Crnojevica, Cetinje Mon - astery, Njegos’s Museum Biljarda, Palace of King Nikola, Hospital Danilo I, Zetski Dom and Blue Palace. Wallachia Church was built in mid X V century. Its yard has the fence built out of the pipes of guns taken from the Turks in freedom wars against Turks in 1858 and 1876-1878. Cetinje Monastery was built by bishop Danilo in 1701 in the base of Eagle’s stone, in the place where once a palace of Ivan Crnojevic was and he integrated elements from destroyed Crnojevic Monastery. Budva, with the area or 122km2, takes up the central part of Mon - tenegrin coast. Sandy beaches are over 11 310 meters long. Because of its coves, sandy strands, islets, capes and coastal settlements, Budva is called Rivi - era of sandy beaches. 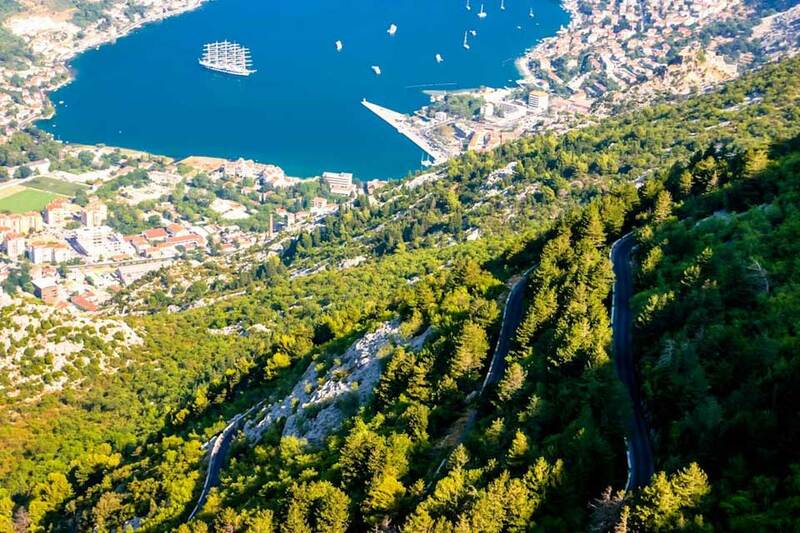 In the hinterland of Budva’s Riviera are massifs of moun - tain Lovcen, which protects it from cold northern winds and conditions mild Mediterranean climate. City of Budva is the center of Riviera and one of the oldest set - tlements in the Adriatic region. In the old times the road to Dubrovnik and Skadar went through Budva while today it is connected to Kotor, Cetinje, Podgorica and Bar by road. Budva has the typical Mediterranean climate with warm summers and mild winters. Today Budva has the popula - tion of 19 218 and to determine the number of tourists who visit is almost impossible. Swimming sea - son lasts from middle of May until the middle of November. Average sea temperature is 18.5°C, and annual air temperature is 15,8°C. Budva has 2 300 sunny hours per year. Temperature of sea dur - ing summer is between 21°C and 25°C. Budva Riviera has the total area of 122km2.Old City is the trademark of Budva today. Its walls date back from medieval era when this region was ruled by Venetians. In the Old City there is also a city fortress Citadel from V or VI century BC, which nowadays is stage of famous City Theater. There is also St. Ivan church, built in VII century, and building St. Maria in Punta from year 840 and another church St. Trinity from 1804. Island St. Nikola near Budva is also called Hawai. It used to be connected to the city by a sandbar. It is covered by many conifers, pine and spruce forest. Its coves and beaches can be reached by taxi boat and other smaller boats. It has very versatile wildlife, roe deer, rabbits and many rare plants. 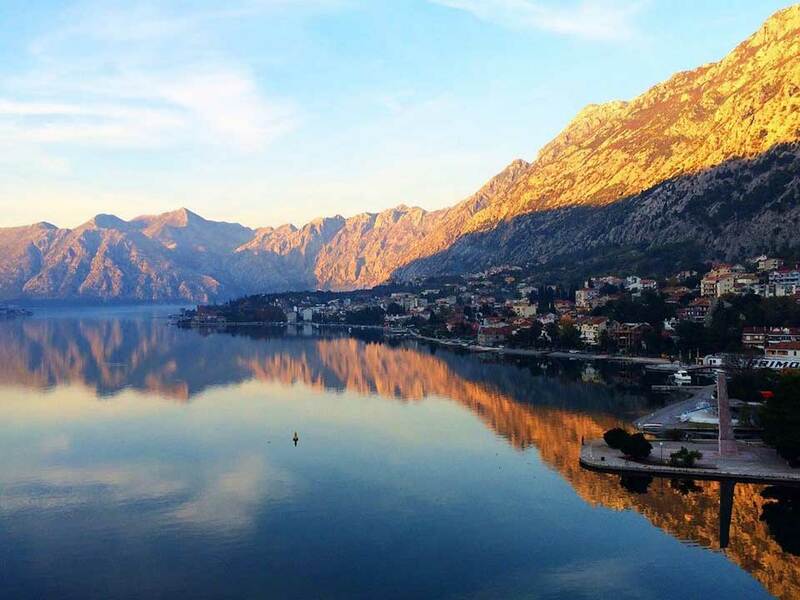 11:30 – 13:00 Ride back to Kotor, on the way back we are taking different road via Budva, where you get some photo opportunities. 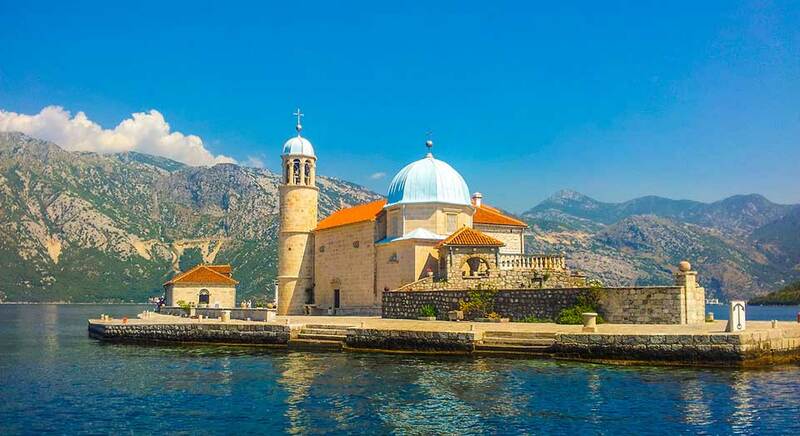 Included in this tour price: a licensed English speaking guide, private transportation with a car or van, snack and drinks in Njegusi village, tourist taxes both in Cetinje and Kotor, Vat. Not included in this tour price: souvenirs.